Fine silver wood textured earrings in the traditional longboard shape. Textured sterling silver ear wires stay put and are a perfect fit for these eclectic earrings. Cute and comfortable with a rustic, surfer girl beachy vibe. 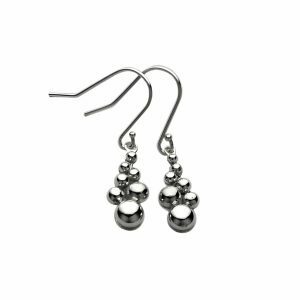 These earrings measure 3/16″ wide by 1-1/4″ long.